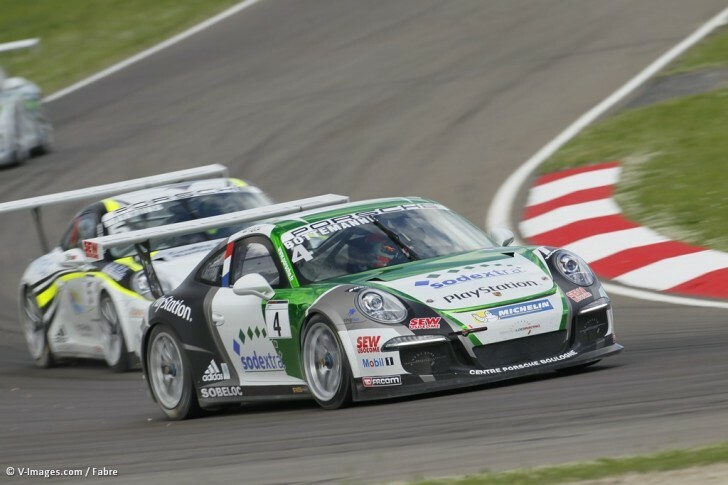 The third round of the Porsche Carrera Cup France will take place next May 31st and June 1st on the circuit of Lédenon in the south of France. After the second round in Ital, at Imola, the Sébastien Loeb Racing has confirmed the beginning of its season with a double podium in the first of the two races with Maxime Jousse and Nicolas Marroc. Thanks to his consistency, Maxime Jousse is currently in third place on the overall rankings. The team now aims for a first win ! 18 years old young rookie Joffrey de Narda has continued learning in the discipline. He had already been in the lead in the difficult conditions of Le Mans, proving the fast driver he is. « Imola showed that I still have to progress in dry conditions » says Joffrey. « I have learnt a lot and my driving has developed and improved. It is different from driving a single-seater where you must be gentle, here I have to attack, to go on the curbs. That is what I had the most difficulties with in Italy where the gaps were very little since I was 10th on the starting grid and only six tenths away from the pole position. Despite discovering a new playground right next to Nîmes, Roar Lindland will surely adapt quickly to the Lédenon track. He has shown that he is a well-implicated, rigorous and therefore fast learner. After a round outside of France, the Porsche Carrera Cup France is about to return to the atmosphere of the GT Tour events. The Sébastien Loeb Racing will be competing as part of the French GT Championship as well. The two 30-minute free practice sessions will take place on the Friday, before both a qualifying and a race on each day Saturday and Sunday. Those two rounds will be broadcast live on the team website.